One piece 36" x 36" curbed shower with 5.25 inch threshold and center drain. 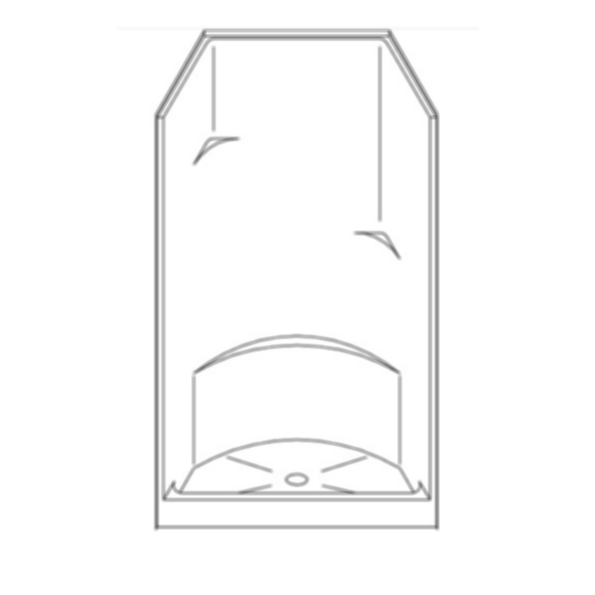 Fiberglass shower with "Smooth wall" look and molded-in foot rest. Luxurious polyester gelcoat finish. Full plywood backing on all walls for outstanding strength and customized installation of accessories. No mud setting required. All accessories are priced separately. Accessories available: Shower valve, glide bar/hand shower, matching soap dish, grab bars, drain, curtain and rod. W*D*H: 36" x 37" x 79"